Our cost-effective Floating Fine Bubble Aeration (FFBA™) system is designed todeliver efficient aeration in municipal and industrial WWTP lagoons andbiological reactors at every scale of operation. The FFBA™ system can beimplemented during the design and construction of new WWTPs or to upgradeexisting works by replacing the mechanical surface aerators (fixed or floating).No down time required during installation and no need for a levelled floor.Mapal's FFBA™ system will lead you to technological advancements and willreduce your expenditures. Irrigation of agricultural lands consumes 70% of the water used worldwide.Agriculture Water use, per se, is divided into 3 different aspects:Animal Waste.Reuse of Municipal Waste-water.Demineralization of Fogging Cooling Systems.In addition, agriculture uses water for irrigation that comes from unsuitable sources, such as Saline Wells, Surface, or even Sea Water.The most important factors to determine the suitability of water use in agriculture are the following:PH, Salinity Hazard, Sodium Hazard (Sodium Absorption Ration or SAR), Carbonate and bicarbonates in relation to the Ca & Mg content, other trace elements, Toxic anions, Nutrients, Free chlorine.The water quality used for irrigation is essential for crop yield, maintenance of soil productivity, and environment protection.Solutions provided by WaterMatic are based on a variety of advanced technologies, precisely suited to customer needs and regulation conditions in each country.This technology is supported by advanced, unique control systems that ensure continuous system activity at the highest level of reliability. Mendelson - S. Bar Ltd.
PlumbingMendelson S. Bar Co., Ltd. imports and markets plumbing products for the construction industry, renovations, plumbing contractors, plumbers, public institutions, maintenance companies, industrial and private customers.Company products, supervised by the Israeli Standards Institute, allow us to provide all services and products related to plumbing.At your disposal is a wide array of pipes and piping accessories for home water supply, including:Multi-layer piping, SP, etc.PEX pipingCopper pipingPolyroll pipingMultigol piping and accessoriesPush-fit piping and accessoriesThe company serves as a One-Stop-Shop for contractors, plumbers and private customers. 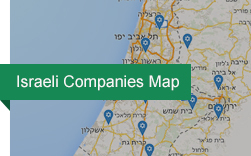 Mendelson – S. Bar Co., Ltd. represents some of the world’s leading plumbing and sanitation manufacturers in Israel.Supplier links:Mendelson – S. Bar Ltd. is the Israeli representative for leading global infrastructure manufacturers. Industry Water has several different applications that define the water quality requirements.About 70% of the water in industrial water treatment is used for cooling purposes, followed by that used for heating purposes, and the remainer for industrial production.For some industrial applications, water quality is critical, and the water is treated to reach an Ultra-Pure-Water level, which, by definition, contains in equilibrium only H2O, and H+ and OH-ions.Ultra-pure water production often must be done in 2 steps: (1) Membrane Filtration and (2) Electro Deionization.Sectors of industry, and more specifically, the Food & Beverage industry, produce tremendous amounts of very poor quality waste-water. This water must be treated for the sake of environmental conservation. Most of the treatment systerm recycled at least part of the waste water.Solutions provided by WaterMatic are based on a variety of advanced technologies, precisely suited to customer needs and regulation conditions in each country.This technology is supported by advanced, unique control systems that ensure continuous system activity at the highest level of reliability. S² has been collecting waste brines from the Israeli Aluminum processing industry since 2001, in order to produce valuable chemicals used for waste water treatment and other applications.Brines removed from Aluminum plants are transported to a central processing unit. They are used for Sodium Aluminate production. Products' quality meets the standards of use for potable water. The recycled products are currently used for industrial and municipal wastewater treatment.This operation highly valued by the Israeli Ministry of Environmental Protection is performed as a purely commercial activity. No commercial advantages have been requested for the use of recycled materialThere are three types of Aluminum processing factories:Aluminum extrusion plants waste S² removes basic waste solution from extrusion processes to produce Sodium Aluminate. 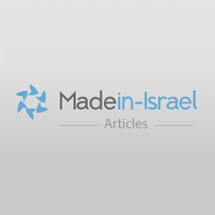 Recycled Sodium Aluminate is the cheapest coagulant sold in Israel. As a result it allows reducing the cost of wastewater treatment. In 2008, S² has recycled 90% of the available brine in Israel.Aluminum milling waste solutions Waste caustic soda solutions from the aircraft industry contain impurities that impose their burial or combustion at a hazardous waste disposal facility (e.g. Ramat Hovav in Israel). S² has developed a process which enables recycling most of these wastes into Sodium Aluminate, thereby reducing the quantity of waste removed to the waste disposal facility.Anodizer wastewater treatment S² has developed a novel technology for the treatment of aluminum anodization wastewaters. The technology proposed by S² enables:The removal of concentrated acidic and basic solutions from Anodization plants.The reduction of water consumption up to 75%.The reduction of treated wastewater flow to sewage system.The reduction of the amounts of salts (Na+, SO4--) discarded to the sewage system.The reduction of solid wastes produced by the neutralizing process.The reduction of the wastewater treatment in the plant to a minimum.The concentrated brines removed from the anodization plants will be recycled by S². The recycled Sodium Aluminate and Aluminum Sulfate will be used for waterwater treatment. The SCADA system is a type of Industrial Control System (ICS) that monitor and control industrial processes.SCADA systems historically distinguish themselves from other ICS systems by being large scale processesthat can include multiple sites, and large distances. Depending on the water resource, the Drinking Water treatment also includes mineral control by removing or adding minerals, according to the authority's definitions. While the treatment of Industrial Water concentrates on the removal of Minerals, Drinking Water treatment deals with the removal of health hazards. Drinking Water must be free of suspended solids, microorganisms, Heavy Metals and toxic chemicals. Drinking Water also has to be treated for taste and odor, which are affected by calcium, magnesium, sulfate and iron content.For municipal drinking water, a special focus is placed on the corrosivity and scaling potential of the water to maintain the condition of the piping system. Our technical experts will accompany you throughout the process and beyond in order to provide continuous improvement and efficient work with our system. Technology DescriptionReverse Osmosis (RO) is a modern process technology used to purify water for a wide range of applications, including:SemiconductorsFood processingPower plantMunicipal drinking waterEtc.BiotechnologyPharmaceuticalsSeawater desaltingMobile water purificationThe Reverse Osmosis system includes:Pre TreatmentR.O. unitPost TreatmentThe quality of the feed water is defined in terms of concentration of suspended and dissolve particles and saturation levels of the soluble salts. The common indicators of those particles used in the RO industry are Turbidity, Silt Density Index (SDI) and Total Dissolve Solids (TDS).The feed water, depending on its source, may contain various concentrations of suspended and dissolved solids. The objective of the feed water pretreatment process is to improve the quality of the feed water to the level which would result in reliable operation of the RO membranes.In RO, the water passes through the membrane at a much faster rate than the dissolved solids (salts).The driving force of the reverse osmosis process is applied pressure. The amount of energy required for osmotic separation is directly related to the salinity of the solution. Thus, more energy is required to produce the same amount of water from solutions with higher concentrations of salt.The RO system produces purified water (permeate) from the feed water via rejection of organic and inorganic constituents by a semi permeable membranes.It separates the incoming feed stream into two effluent streams:The permeate passes through reverse osmosis membranes and as a result,contains contains much lower quantities of salts and organics.The concentrate is the stream which passes tangentially across the membrane surface and thus contains the impurities separated from the permeate.Post treatment depends on the required water quality defined by the customer. A standalone container - retrofitted to enhance current treatment plants according to the clients needs, as an addition to the existing system.The Emergency Deployment Oxidation System can remedy a WWTP, suffering from lack of oxygen due to equipment failure for example. The container can deliver the required oxygen for the biological process in a matter of hours from the time it arrives on site. Food and Water Industry Plastokit has extensive experience in the production of products for the Food and Water Industry. This field requires stringent standards and guidelines of consistency and cleanliness as well as special assembly lines that ensure supply of finished, assembled product that meets the requirements and specifications of our customers.Plastokit has produced many multi-cavity molds for this market.